Terrence Malick is a reclusive director that shies away from Hollywood limelight (like Vampires from the Sun). On average, he has made a movie every eight years. His first two works, Badlands (1973) and Days of Heaven (1978) are now considered classic. The latter starred a young Richard Gere and won Malick the Best Director prize at the 1979 Cannes Film Festival. He has never been a box office favourite, but critics and actors have always loved him. His reluctance towards fame and his peculiar but highly recognizable style have given him and his movies cult status. In 1998, after a 20-year hiatus, Malick’s return behind the camera with The Thin Red Line, a lyric and masterful adaptation of the James Jones’ Second World War novel of the same title, was rightly welcomed as the cinematic event of the year. With a worldwide gross of almost 100 Million dollars, the movie is to date his most successful at the box office. Malick ’s latest work is titled The Tree of Life and is out now both in Europe and the US. Fox Searchlight, the film distributor, has shopped it around as a masterpiece, “the impressionistic story of a Midwestern family in the 1950’s”. Intrigued by the story, by Malick’s reputation, but mostly by the trailer I watched, I recently went to see it carrying with me a bag of mixed expectations. On the one hand, I had loved The Thin Red Line but on the other, for some reasons, I was never taken by The New World (2005), a re-telling of the John Smith and Pochahontas’ story. But The Tree of Life, crowned with the Palm D’Or for best movie at this year Cannes Film festival, starring Brad Pitt and Sean Penn, showered with an almost universal critical acclaim with both Rottentomatoes and Metacritic giving it about 86% positive review, seemed to promise me a better experience than my last encounter with the reclusive director. I was wrong. Or I should say, almost wrong. The Tree of Life is far from being a masterpiece (impressionist or not). Yet, watching the movie one feels that in-there, somewhere, mixed with the many bits probably lost between the cutting room and the projectionist booth (after all the final-cut allegedly took almost 3 years), there is a piece of cinematic art in embryo, unfinished and imperfect perhaps, but nonetheless a piece of art. Dismissing the movie simply as “what a load of c**p” – as I heard someone saying when the end-credits finally appeared – would be unfair, and yet, to some extent, not entirely unjustified. 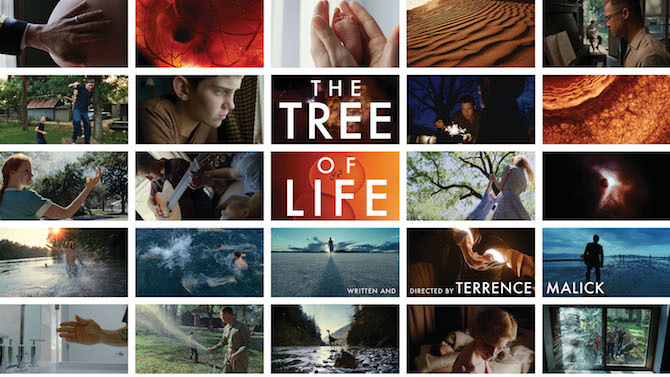 The Tree of Life is a complex work that defies any attempt to explain it in terms of traditional narrative: the plot, the structure, the characters, the editing, the cinematography, and so on and so forth all follow non-traditional patterns. There is some kind of plot, but the execution of it makes it something else. 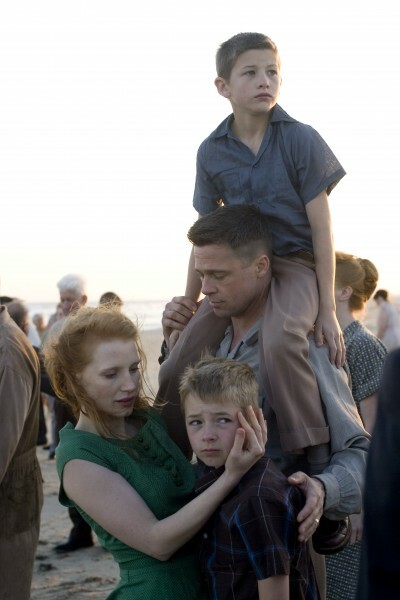 The film centres on Jack O’Brien and his relationship with his second-born brother Steve (Tye Sheridan), his forgiving and loving mother (Jessica Chastain) and his rigorous father (Brad Pitt). The O’Brien family has a third son, R. L. (Laramie Eppler) the youngest one, but, for some reason, Malick’s relegates him in the position of third inaudible fiddle in this grand visual symphony about the meaning of Life. In all fairness, I couldn’t understand why the R. L. character wasn’t simply cut out from the final version of the script. Jack is played as a youth by an excellent Hunter McCracken and as an adult by Sean Penn, whose part is just a bit longer than a cameo. The emotional core of the movie is rooted in Steve’s death, age 19, almost at the very beginning of the film. We never see Steve at that age, but we witness the pain felt by Mr. and Mrs. O’Brien. After that, a middle-aged Jake still struggling to reconcile with the death of his younger brother, takes us back to a particular period of his youth in Texas. We follow him in a series of apparently loosely connected scenes of him playing with his brothers, fighting with his dad, laughing with his mom and speaking to God. All main characters in this film whispers questions to God. The Three of Life opens with this quotation and it is probably the cipher to decode Malick’s film. His God, like Job’s, speak through whirlwinds and rays of light. At time he is also a lonely flickering flame against a pitch-black background. 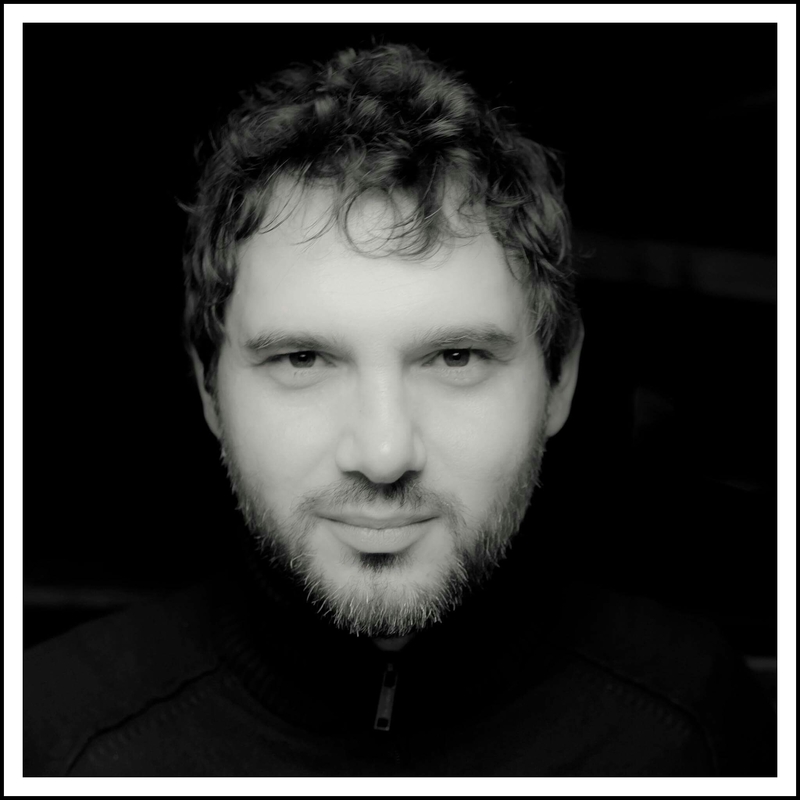 Emmanuel Lubezki, the cinematographer, to better represent the presence of God in every corner of life and nature, showers almost every scene with a flat overexposed white while, often, rays of light peer into the eye of the camera through whispering leaves, wind-caressed curtains, or running waters. Jack O’Brien (and to some extent Mr. and Mrs. O’Brien) represents a novel version of the biblical Job, they all ask their God, in a way or another, the eternal questions: where are you? Where were you? Why? When? What for? The possible answers in this on-going dialogue between the O’Briens and Malick’s God, whirlwinds whispers apart, are provided by Mrs. O’Brien. She whispers to his sons, pointing upward at the sky: “There is where god lives”, and then “There are two ways through life: the way of nature, and the way of grace. You have to choose which one to follow.” And most importantly, “Love, or life will pass you by”. Through the voice of the adult Jack, Malick asks himself: “Mother, father, why must you both fight inside me?” or put in other words: why can’t I live both the way of nature and the way of grace? In fairness, Malick’s works are always so complex that a 1000-word review can have a hard-time doing them justice. And this’s also true for The Tree of Life. I just crossed that word-count mark and yet I haven’t said that much about the film’s flaws. Perhaps that is the reason why so many critics opted to call ita masterpiece.They simply concentrated on the good things, and decided to remain silent on the many weaknesses The Three of Life is burdened with. I admire Malick’s courage (or madness) for making such a film; for his bold approach to the art of film-making, Malick deserves to be up there with (or at least not far from) the likes of Kubrick or Wells. It takes guts and a larger-than-life artistic vision to make a movie like The Tree of Life that mixes together unabashedly the microcosmos of a family life burdened by the death of a loved one, with the macrocosmos and its endless history of the Universe, its unanswered philosophical questions about the meaning of existence, with the God of all things and the whole of creation (after-life included). Indeed there is a lot of beauty in this movie, but unfortunately it often feels assembled in the wrong way. Some scenes would have been better off left on the floor of the cutting room. For instance, the scenes about the creation (and death) of life on Earth and the extinction of dinosaurs (yep, there also dinosaurs here, more National Geographic than Jurassic Park though) left me cold, diverted my attention from the story (or I should say the other stories) and, last but not least, they put a sneering smile on my face. And I can safely guess I wasn’t the only one in the theatre feeling that way. The Three of Life could have easily been cut in at least three different movies: a visual re-imagining of the birth and death of life in the Universe; an Indy-film about mourning and family ties; and a short-movie about the coldness and meaninglessness of present-day life and the never-ending quest of asking God: Why? Where? When? Instead Malick has made one long (and often boring) movie that remains, at best, a cinematic misfire, though an artistic one. The lyricism of the scenes dealing with the microcosmos were unmatched by the CGI effects of the part about the macrocosmos. The quality was excellent, but somehow carried with it no sense of truth, it never really involved me. In this respect, The Three of Life is many steps below Kubrick’s 2001 Space Odyssey. More troubling is the fact that Kubrick’s excursion into the birth of Humanity and into the exhilarating beauty of its future is concentrated in less than seven minutes at the start of 2001. Malick’s instead goes for far too long, so long that at one point I almost forgot I was watching a film and started thinking about BBC, National Geographic, and the good old science hour when I was still in high school. Similarly, the links between the Sean Penn’s character and his younger self, played by an excellent McCracken are worlds and times apart. The young Jack takes the centre stage of the whole movie, the (unfortunate) result is that for a long stretch Malick forgets about Penn’s character and so do we. When he reappears one is almost tempted to ask: who is this person? But then it is too late because we are now in the after-life and the whole family is reunited… Yet, instead of feeling overwhelmed by Malick’s representation of the Heavens, I couldn’t stop wondering why Mr. and Mrs. O’Brien and Steve looked exactly as they looked in the 50s, whereas Jack instead had the aging face of Mr. Penn. Was that the after-life, or Penn’s imagining of what comes next. I have no clue. The kids are rarely happy in this movie; they often look and sound as adult trapped in children’s bodies. A possible explanation (and justification) for such impression could be that the whole part of the story that deals with the O’Brien’s kids is seen through the prism of the adult Jack’s personal memories. Perhaps I am wrong, in any case the result is unconvincing, and I found the children’ actions and words rarely believable. They seem more disconnected snapshots of fuzzy reveries than the memories of an actual childhood. I read elsewhere that Malick is working on a six-hour long cut of The Tree of Life, perhaps with 240 minutes more the film will make more sense, who knows, but I truly doubt it. From what I have seen, The Three of Life does not belong to the restricted club of movies where longer is better: for instance Igmar Begman’s beautiful 5-hour long Fanny and Alexander or Marco Tullio Giordana’s six-hour long masterpiece The Best of Youth. Some shots are undoubtedly beautiful and overwhelming, but for its lack of coherence and imperfect editing, The Tree of Life eventually leaves us cold and lost. The film would have benefited from an extra cut, in the range of 20-to-40 minutes, to make it more personal and intimate. That would have made it (possibly) a beautiful visual poem about life, rather than the rambling shouting of a confused artist. Credits: Written and directed by Terrence Malick, produced by Sarah Green, Bill Pohlad, Brad Pitt, Grant Hill and Dede Gardner. A Fox Searchlight release. Running time: 2:18.